Don’t miss the opportunity to network with your peers during Sydney’s busiest month of art and culture. Registrations are now open for Art & Artists: Public Galleries Summit 2018 presented by Carriageworks and Regional and Public Galleries of NSW in association with Museums & Galleries of NSW. Taking place between 18-21 March Art & Artists will bring together staff from galleries throughout Australia and New Zealand. The sector is diverse, covering major cultural institutions, regional galleries, artist run initiatives, contemporary art spaces and of course, most importantly, artists themselves. Held concurrently with the 21st Biennale of Sydney, Art & Artists will focus on the distinction that the visual arts and artists bring to the cultural space. 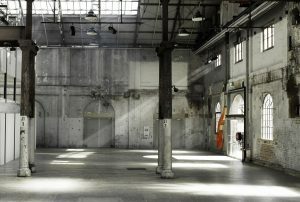 The Summit will present a lively program including panel discussions, workshops and networking events over four days at Carriageworks and other venues across the city. Stay tuned for further speaker announcements and the draft program. To take advantage of the Early Bird registration offer please visit the Eventbrite page. For more information about this event visit the M&G NSW event page or contact Jane Gillespie, Program & Events Coordinator, Museums & Galleries of NSW on 02 9339 9914 or janeg@mgnsw.org.au. Art & Artists: Public Galleries Summit 2018 is presented by Carriageworks and Regional and Public Galleries of NSW in association with Museums & Galleries of NSW and the Biennale of Sydney. This project is supported by the NSW Government through Create NSW and the City of Sydney.